The management of a garage involves maintaining equipment or, more specifically, the maintenance of trailers and trucks. In the transport field, equipment requires various periodic inspections to ensure safe operations. In the absence of planning with regard to hardware maintenance, financial consequences can be significant. Inspections are a vital stage in the business process. Indeed, having to adjust to the unexpected can lead to major losses of time. What equipment should be inspected next? When will the next breakdown or damage to equipment need to be rectified? Which trucks or trailers are undergoing inspection and which are available for delivery right now? JFleet offers instantaneous visual aids to these questions before undertaking an operation. Of course, maintenance is required for safety, prevention, speed of execution, operational efficiency, and profitability. 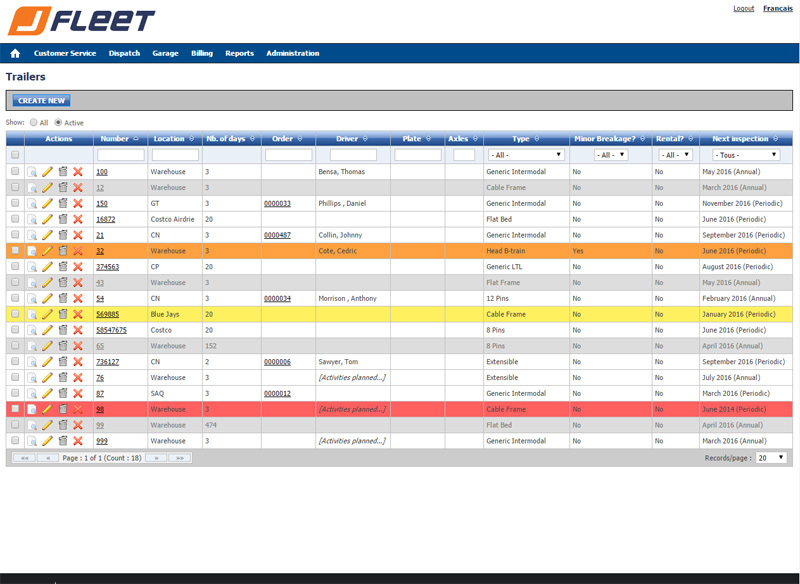 JFleet displays visual alerts when inspections are to be carried and if repairs are required. 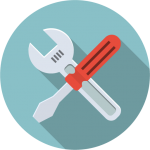 You can see the number of hours that your staff has worked on equipment that is in the garage for inspection as well as what parts have been modified or repaired. 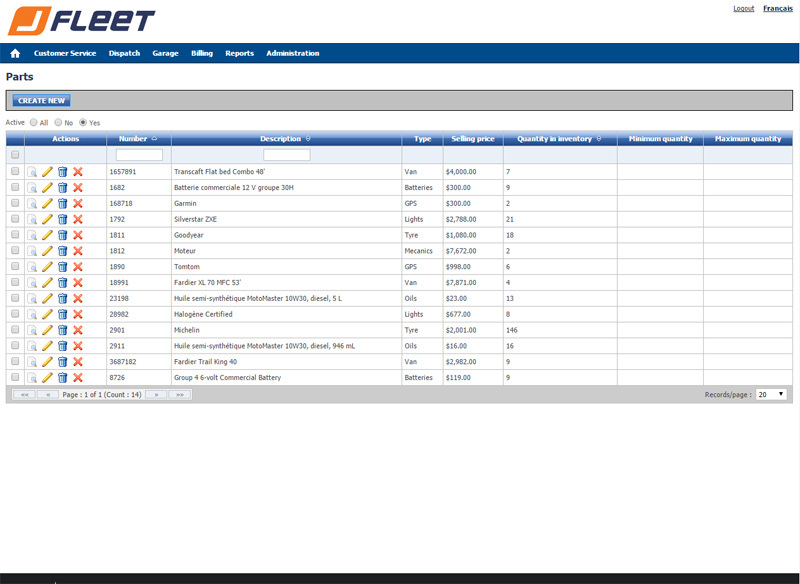 You can then get a detailed report on the money spent on any piece of equipment. 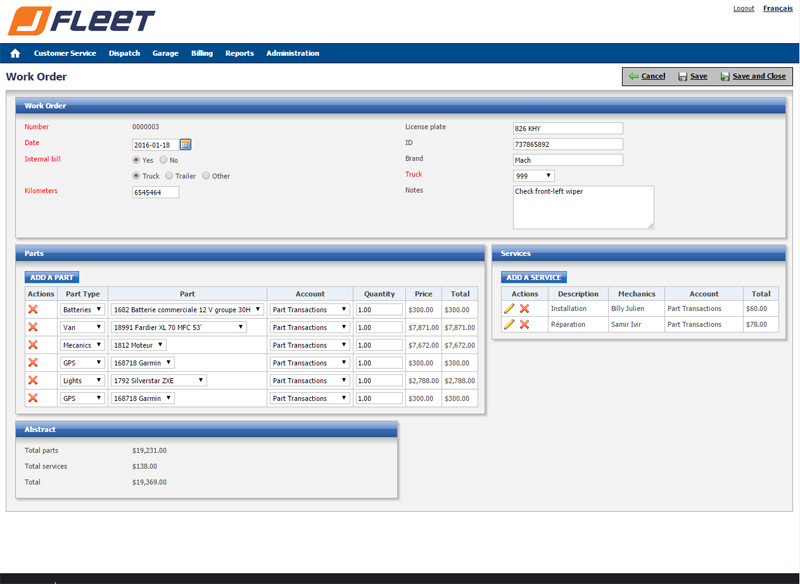 JFleet allows you to quickly see the financial assets dedicated to the maintenance of equipment and estimates the best time to consider replacements. Thus, the JFleet module can manage not only the entirety of your transport operation, but also manage the garage if it is an integral part of the company. The benefits of JFleet accrue to your operations in terms of savings in time and money.